Founded in Texas in 2006, Medina River Records is being revived and revamped, this time with headquarters in Los Angeles, California. Medina River Records (MRR) is being fueled by Matt Farber, Ben Reddell, Peter Bowman, and Steve Circeo. Bowman originally launched MRR with the release of COLD BEER & HOT TAMALES from The McKay Brothers. He has decided to revive the company with the assistance of Reddell, Farber, and Circeo. Like Bowman and Circeo, Reddell hails from Texas. Reddell manages Bedrock LA, the premier rehearsal and recording studio in East Los Angeles. MRR has set-up home base with Bedrock for the revival. 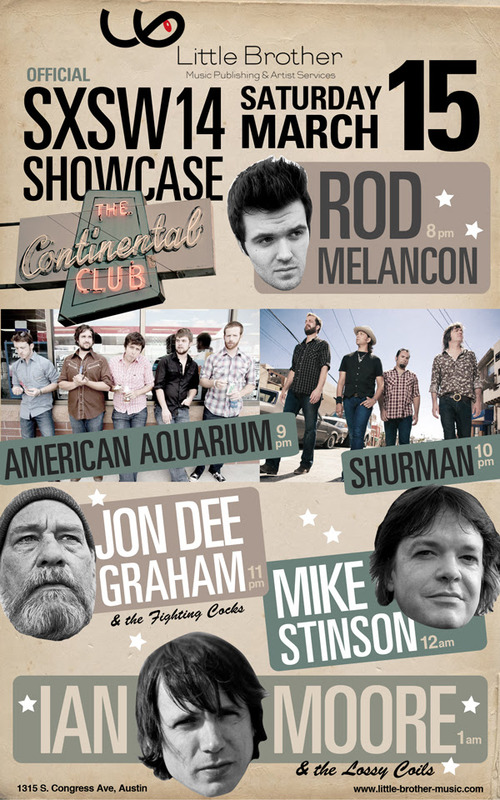 Reddell and Farber curate an Americana weekly showcase called The Grand Ole Echo at The Echo in Los Angeles, CA. Farber took over the reigns of the long time showcase in 2013 with the help of Kim Grant from KG Music Press. Grant founded the show back in 2005 with assistance from Pam Moore and Liz Garo. Bowman, Circeo, Reddell, and Farber are working to revive the Los Angeles Americana scene. Medina River Records will release two albums in early 2014. Rod Melancon will release PARISH LINES on March 4, 2014. PARISH LINES was produced by Brian Whelan, the multi-instrumental/vocalist for Dwight Yoakam. Whelan decided to make the songs on PARISH LINES the center of the recording process, so every decision he made while recording them was based on the story Melancon was trying to tell. The Far West will release ANY DAY NOW on February 25, 2014. ANY DAY NOW was produced by Colin McLean, who put the band in a classic car repair shop for tracking. PARISH LINES and ANY DAY NOW are the first of what should be a long stream of great Americana music flowing from Medina River Records.